Located in the heart of downtown Fort Wayne, the Hilton Fort Wayne at the Grand Wayne Convention Center is one of the most central hotels in the city. Within easy walking distance of several major corporations and amenities, the hotel wanted to renovate the Restaurant and Lounge space to match the vibrancy of the downtown. 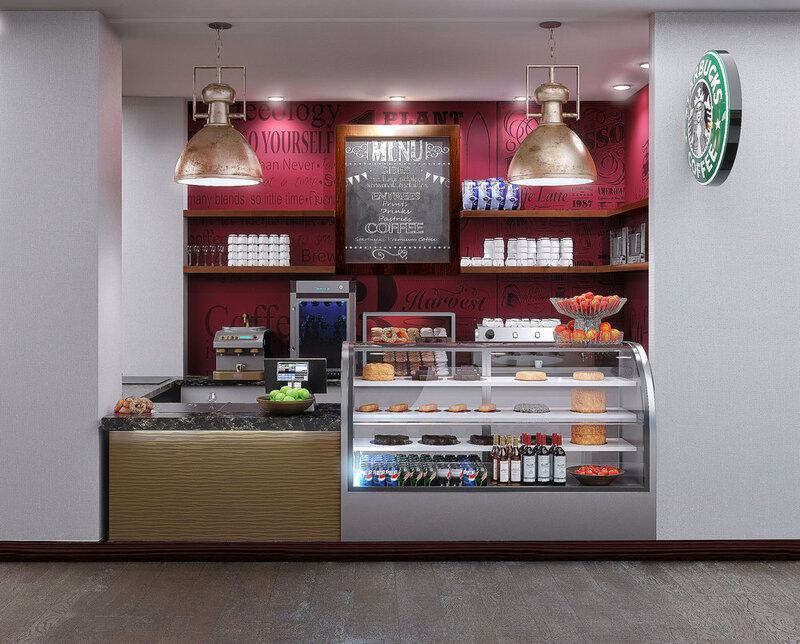 Hoch worked closely with Corporate Hilton design team to introduce the Hilton Design Standards into the new Lounge creating a new Bar, Soft Seating Areas, Dining, & Coffee Bar. Working closely with the contractor to achieve a seamless construction process and timely renovation was an important achievement. Upgrades at the hotel lounge included removal of several walls to provide an Open Lounge concept. Easily visible to all guests and patrons visiting the well know restaurant and lounge. New Finishes within the Lounge and Bar complement the interior finishes of the hotel and bring about new, more vibrant space.